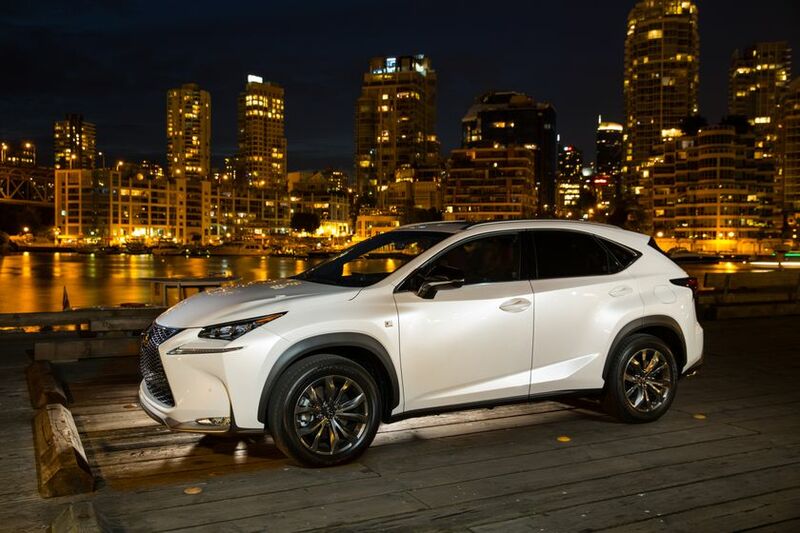 (TORONTO, ON – October 14, 2015) One look at the Lexus NX is all you need to take in the Unspoken Style of the bold luxury compact SUV, enhanced for 2016 with additional available trim levels. The NX 200t – the first Lexus to feature a turbo engine – is now available in seven grades, with the addition of a third F SPORT configuration. Meanwhile, the NX 300h receives a second trim level to entice more guests to explore the benefits of its advanced hybrid power. The Lexus NX delivers dynamic handling and the confidence of all-wheel-drive, plus a remarkably comfortable ride thanks to several world-first and Lexus-first electronic advancements and chassis design features. The sharply styled NX features a bold interpretation of the brand’s signature spindle grille - the centrepiece of an external design intended to appear as if it was painstakingly cast from one piece of metal. The comfortable and spacious cabin is driver-focused and fitted with impressive packages of onboard technology to enhance driving pleasure. Three available F SPORT editions for the NX 200t feature more aggressive handling and sportier design, with numerous F SPORT-exclusive details. The NX is offered in two models: The NX 200t and the NX 300h. The NX 200t is the first Lexus to be built around a twin-turbo-equipped gasoline engine. This 2.0-litre Atkinson cycle powerhouse delivers up to 235 HP and 258 lb-ft of torque. Combined with a six-speed automatic Super ECT transmission with lock-up torque converter and all-wheel-drive, the NX 200t delivers sporty acceleration plus fuel efficiency of 9.9 L per 100 km (city/highway combined). Additional handling and control technologies deliver confident driving. These include Vehicle Stability Control, Traction Control, Hill-start Assist Control, and Dynamic Torque Control. A three-setting Drive Mode Select System (Sport, Normal and Eco) modifies vehicle responsiveness to emphasize sportiness or efficiency while electric power steering provides quick and accurate responsiveness. The NX 200t is standard equipped with many comfort, convenience and luxury features. These include dual-zone automatic climate control, eight-way, power adjustable heated front seats clad in NuLuxe, a back-up camera, power windows with auto up/down function on all windows and rear privacy glass, an eight-speaker Lexus Display Audio system with Bluetooth connectivity, USB audio input and steering wheel-mounted controls, cruise control, the Smart Key System, Push Button Start, a TFT multi-information display, eight airbags, an onboard first aid kit, a direct tire pressure monitoring system, 17” aluminum alloy wheels with locks, roof mounted spoiler, variable intermittent wipers, and LED lighting including low-beam headlamps, clearance lamps, fog lamps, brake lamps and daytime running lights. The NX 200t Premium Package adds popular premium features including a heated steering wheel on a powered tilting/telescoping column, 18” aluminum alloy wheels, heated and ventilated front seats with a driver’s seat memory system, a power back door, a power tilting/sliding moon roof, auto-dimming side view mirrors linked to the seat memory system, and more. The NX 200t Luxury Package enhances the NX with luxury and refinement. In addition to the features in the Premium Package, this model features a 10-speaker audio system, a voice-activated navigation system with the Lexus Remote Touch interface, rain-sensing wipers, LED high-beams, the auto-levelling headlamp system, clearance and back-up sensors, the Blind Spot Monitor and Rear Cross Traffic Alert systems, wood grain interior trim and leather seating. The NX 200t Executive Package enhances this luxury compact SUV with impressive technology. In addition to all features in the Luxury Package, this model features the Qi wireless charging system, head-up display, with Lane Departure Alert with Steering Assist, Pre-Collision System, Dynamic Radar Cruise Control, Automatic High Beams, power switches for rear seat remote release on the dash and in the cargo area and unique 18” alloy wheels. The NX 200t F SPORT Series 1 is a new package for 2016. It introduces unique Lexus F SPORT styling features, including F SPORT 18” alloy wheels, LED fog lamps, badging, front grille, shift knob, seats and scuff plates. It also adds a sport-tuned suspension, aluminum sport pedals with rubber inserts, a G Meter, a heated steering wheel with paddle shifters on a power tilting/telescoping steering column, a driver’s seat memory system, a power back door, a power tilting/sliding moon roof, auto-dimming side view mirrors linked to the seat memory system, premium LED headlamps with LED high beams and the auto-levelling headlamp system, and more. The NX 200t F SPORT Series 2 builds on the Series 1 package by adding a 10-speaker audio system, the Blind Spot Monitor and Rear Cross Traffic Alert systems, clearance and back-up sensors, a voice-activated navigation system, the Lexus Remote Touch interface and rain-sensing wipers. The NX 200t F SPORT Series 3 takes sporty performance and technology to the max. Building on the Series 2 package, this adds the Lexus Adaptive Variable Suspension system, Qi wireless charging, head-up display, Lane Departure Alert with Steering Assist, Pre-Collision System, Dynamic Radar Cruise Control and Automatic High Beams. The NX 300h is built around a Lexus Hybrid Drive specifically configured for the NX series. With a 2.5-Litre Atkinson cycle engine at its heart, this advanced power train delivers up to 194 net system horsepower and 152 lb-ft of torque. Combined with an electronically controlled continuously variable transmission and all-wheel-drive, the result is smooth but powerful acceleration, fuel efficiency of just 7.4 L per 100 km (city/highway combined) and minimal emissions. It’s the first Lexus Hybrid Drive to feature a kick-down function for acceleration and a hybrid battery split into two separate pods for better weight distribution and use of space within the vehicle. Additional handling and control technologies deliver confident driving. These include Vehicle Stability Control, Traction Control, Hill-start Assist Control and Dynamic Torque Control. A three-setting Drive Mode Select System (Sport, Normal and Eco) modifies vehicle responsiveness to emphasize sportiness or efficiency while electric power steering provides quick and accurate responsiveness. Disc brakes are ventilated up front, and enhanced with an Electronically Controlled Brake System, Antilock Braking System, Brake Assist, and Electronic Brake-force Distribution technologies plus an electric parking brake. New for 2016, the NX 300h is offered in a new, Premium trim level as standard. This model is equipped with many comfort, convenience and luxury features, including dual-zone automatic climate control, eight-way power adjustable heated and ventilated front seats clad in NuLuxe, a driver’s seat memory system, a 60/40 split fold-down rear seat, a back-up camera, a voice-activated navigation system, the Lexus Remote Touch interface, power windows with auto up/down function on all windows and rear privacy glass, an eight-speaker Lexus Display Audio system with Bluetooth connectivity, USB audio input and steering wheel-mounted controls, leather-wrapped steering wheel and shift knob, cruise control, the Smart Key System, Push Button Start, a power back door, a TFT multi-information display, eight airbags, an onboard first aid kit, a direct tire pressure monitoring system, 18” aluminum alloy wheels with locks, power adjustable exterior mirrors linked to the driver’s seat memory system, a power tilting/sliding moon roof, roof mounted spoiler, LED headlamps, clearance lamps, fog lamps, brake lamps and daytime running lights and more. The NX 300h may be enhanced with an available Executive Package, which adds a 10-speaker audio system, power switches for rear seat remote release on the dash and in the cargo area, a head-up display, the Qi wireless charging system, clearance and backup sensors, dynamic radar cruise control, the Blind Spot Monitor and Rear Cross Traffic Alert systems, Lane Departure Alert with Steering Assist, Pre-Collision System, variable intermittent rain-sensing wipers, the automatic high-beam system, the auto leveling headlamp system and Shimamoku wood grain trim. The 2016 Lexus NX series is now on sale at Lexus Dealers across Canada. For more information on features and specifications, visit www.lexus.ca/nx.